Massage Envy on West Chester Pike. The chain has been the subject of multiple allegations of sexual misconduct. The spa chain Massage Envy is facing more allegations of sexual assault and harassment in stores around the Philadelphia area. 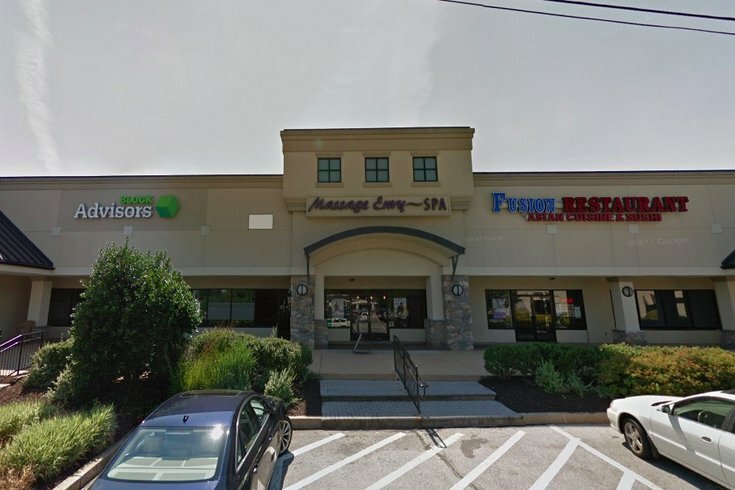 A lawsuit filed in Middlesex County lists nearly 200 allegations of assault by Massage Envy operators across the country. Four women from the state described numerous incidents in New Jersey. Allegations range from inappropriate touching and groping to sexual assault and molestation. The lawsuit accuses Massage Envy of deceiving the public of "the dangers of its services," maintaining that the company worked to keep allegations quiet and hid the truth from law enforcement and state massage therapy boards. Reports of misconduct against the chain, which has about 1,200 locations nationwide, first surfaced last year when the West Chester location became the subject of an investigation exemplifying not only the company's pattern of mistreatment, but the difficulty in reporting the assault and keeping perpetrators accountable. Massage Envy issued a public statement ahead of the lawsuit, which was filed on Wednesday. "One incident would be too many," said Massage Envy CEO Joseph C. Magnacca in the statement. The statement also touted the Commitment to Safety plan, which the company established in late 2017 after an explosive Buzzfeed investigation brought awareness to the West Chester incident and the slew of other allegations piled against Massage Envy. The company is also working with RAINN to review and assess its policies, it said.